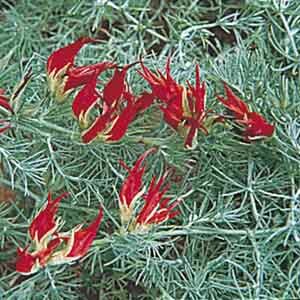 A heat tolerant spreader that creates a cooling mat of fine, silvery gray foliage. Bright, beak-like blooms nestle amongst the foliage with striking yet, beautiful contrast. Perfect for all kinds of containers, including window boxes, hanging baskets and combination planters. Tumbles beautifully over rocks, slopes, and banks. A heat tolerant selection. 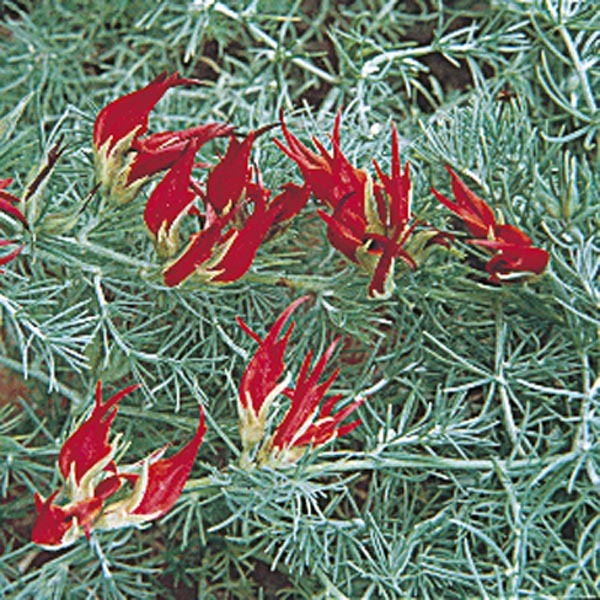 Plant in fertile, well-drained soil. Keep soil moist, watering freely in dry weather. Apply a balanced liquid fertilizer monthly.